Our services include the use of high powered truck mounted hot water extraction equipment process. This cleaning method is preferred and recommended by carpet manufactures. Our process breaks down and extracts oil, dirt, and grime that are the source of most household stains and traffic patterns. Want the best carpet cleaning in North County San Diego? Barclay’s Carpet Care has been proudly serving San Diego since 1990. During that time we have cleaned over 20,000 homes and businesses, strictly adhering to our mission of delivering amazing results, great customer service with a hassle free no nonsense approach. NO bait and switch, NO up selling, our business is based on a customer centered approach and it has kept us in business for 24 years. Don’t be lured in by these fly by night outfits, give us a call and see the Barclay’s Difference first hand. Our services include the use of high powered truck mounted hot water extraction equipment that is the preferred cleaning method recommended carpet manufacturers. Our process breaks down and extracts oil, dirt, and grime that are the source of most household stains and traffic patterns. Carpet is an important part of any home when clean and fresh it accents features of a home and brings beautiful warmth to any living area. When soiled, carpet can make living areas unsightly to guests and make homes appear dirtier than they really are. Mechanically carpet acts as a filter absorbing dust mites, other microbials, and dirt. It also keeps down the level of particulates in the air; this is a wonderful feature for people that suffer from respiratory aliments. When your carpet is dirty allergens can be harmful to you and your family but with regular cleaning from Barclay’s you will be providing an allergen free safe environment for yourself and your family. Barclay’s Carpet Care is a specialized tile and stone cleaning company with fully trained and experienced technicians that bring 23 years of cleaning experience to your specific need. We utilize a high alkaline cleaner that is safe for your tile, stone, and grout. Strong enough to penetrate and clean even the worst looking grout your flooring will look like new again and if protected by our specialized sealant will look great for a long time to come. Be careful of other cleaning companies most cleaning companies use acid to clean your tile and grout but this takes off layers of flooring and will eventually lead to pitted grout lines and an uneven look. They do this because it is easier to use but as it is in life the easy way out is usually the worst choice. Make the right choice Call Barclay’s Carpet Care today. Whether it is an office or a home, there is bound to be furniture that needs cleaning. Don’t let your furniture get dirty and dull use our upholstery cleaning service to revive those treasured pieces. Our professionals have 23 years of experience with any fabric type and can quickly diagnose the most effective way to tackle any problem. Our upholstery cleaning process includes misting with a citrus based pre spray to loosen dirt and draw the deep engrained body oil to the surface then the after agitation the product and any dirt or oil present is rinsed out and extracted leaving no residue and beautiful looking furniture. With the new trend of installing hard flooring in households at an all time high; the need for beautiful rugs to accentuate your favorite living spaces are as important as ever. Let Barclay’s Carpet Care help keep them beautiful. We service most rugs and can help keep yours looking bright and vibrant. Whether it is a cherished family heirloom or a hallway runner to help alleviate wear you can trust our 23 years of experience to care for your rug servicing needs. We at Barclay’s Carpet Care pride ourselves on being flooring experts this includes the restoration of carpet through repairs. Unfortunately life happens and even with regular cleaning some accidents leave permanent marks; pet stains, pet damage, bleach marks, permanent color, as well as unsightly bulges or ripples in the carpet, fraying seams. The list goes on and the only way to fix these issues is through repair. Barclay’s Carpet care brings 23 years of experience to each repair situation diagnosing the problem and presenting all viable options leaving you feeling informed and empowered with the information to make the right decision. Life sometimes throws us unexpected situations one of the worst is flood damage. Floods almost always occur at the worst possible times and leave home owners feeling helpless. Let Barclay’s Carpet Care assuage that anxiety call us anytime 24hrs a day and we will come and help put your life back together. 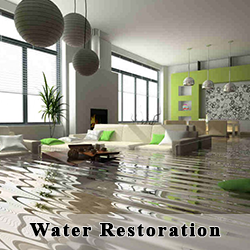 We will triage the problem and start the water evacuation process as quickly as possible this is important because water left for even a few days starts to grow mold, and mold damage is very costly to repair. We will extract all standing water then set up equipment to finish drying out the area. Next we will treat both sides of the carpet with anti fungal spray, clean and re-install your carpet. After 11 years of using Barclay’s Carpet Care to clean my carpets I can assure you that you will benefit from his work as I have. My opinion is that there is not a more hardworking, diligent company with such a high standard of excellence as Barclay’s Carpet Care . As a property manager I have used numerous vendors for every job imaginable and what I have realized over time is that quality workmanship is a rare commodity. 10 years ago I stumbled upon Barclay’s Carpet Care while looking for yet another Carpet Cleaner in the phone book. I can proudly report there is no need for me to look for a carpet cleaning service anymore. Barclay has been a breath of fresh air; completely trust worthy, hard working, and always getting the job done right the first time. As a property manager I worry about many different aspects of a property but carpets are no longer one I need to worry about. Beaches, Cardiff-by-the-Sea, Carlsbad, Del Mar, Encinitas, Escondido, Fallbrook, Oceanside, Poway, Ramona, Rancho Bernardo, Rancho Santa Fe, San Diego, San Marcos, Scripps Ranch, Solana Beach, Valley Center, Vista & Surrounding Areas.